An integral part of Liberate’s mission is to make sure that LGBTQ people feel included in our community, that they have a ‘place’. We aim to do this by getting involved in Island events, as well as hosting some of our own. We have lots of exciting events, activities & workshops open to everyone. If you would like to be involved, either by attending or offering support and ideas for events, please contact us. We would love to hear from you if you’d like to run a workshop or host an event in partnership with us. 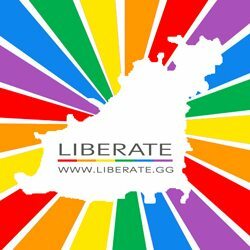 We want to promote Liberate as a group that will provide support and help to people that struggle to come to terms with their sexuality or gender identity, or have problems surrounding their family, friends, peers or colleagues’ reaction to it. We hope that by getting ourselves involved in the community we can break down some stereotypes, assumptions and fears anyone may have about the LGBTQ community.